Family Coats of arms, Crests and other such misconceptions. If you are one of those people who ignore facts and just charge ahead anyway, the UNOFFICIAL Bouchard Coat of Arms is shown below. 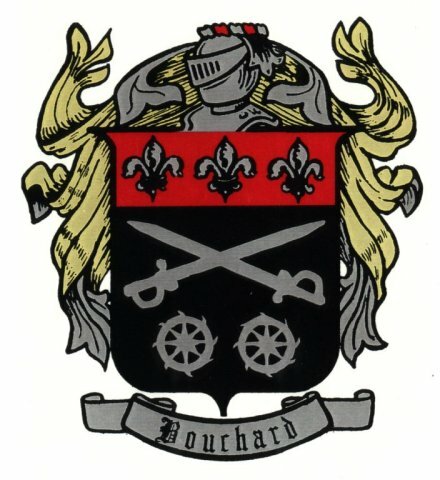 I have been unable to find any valid Coat of Arms used by any of the Bouchard ancestors. If I discover any, I will post images here along with information on the ancestor each is related to with a short history. There is no such thing as a "Family Coats of Arms" for any family. It simply does not exist. Most persons who post them, are simply posting the Coat of Arms or insignia of some person who had the same last name and since few of them bother to check it out, they may not even be blood related. Even if there were a Bouchard of record that had ever been issued an armoury insignia, it would never belong to the general Bouchard family. "Coats of Arms" belong only to the person issued that insignia and in some cases to the direct male heir apparent or male descendent of that person. No other person can rightfully claim ownership or use of that insignia. They were issued by persons of authority, usually nobility, to a particular person to indicate his identification (who can tell who is inside the knight's helmet) and to show affiliation with an Armoury (official listing) of persons to bear arms under that authority. If you feel the need to have your own coats of arms, almost anyone who wishes and can afford the cost may create and register their own Herald. This is much better explained by the experts at the The American College of Heraldry who just happen to also be the organization responsible for registering Heralds in the US. Please visit them for more information. Once your herald is officially listed become your own personal herald or "Coat of Arms". Once again, this will only be YOUR PERSONAL herald insignia and NOT A FAMILY herald. This is probably the right place to mention the many charlatans that are feeding people's hunger for ancestral knowlege. There are many companies (several located in Bath, Ohio) that publish family history books that are no more than listings of names culled from world telephone directories. This same information is available on-line by using one of the many free search engines. 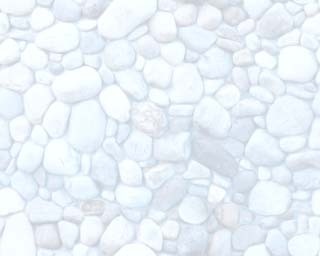 The history is general and may not have anything to do with your family although a small part of it usually has a little to do with someone with the same surname. Any "Coat of Arms" or such is rarely, if ever, verified and frequently is unrelated to your family at all or is even made up. If you insist on spending money on these poor sources, do so with caution and check everything. Buyer beware and keep in mind that the same data these people use is available to you, much of it free. Here is what you are waiting for, the so called "Bouchard Family Coat of Arms" mailed to me by Rick Bouchard. While it is not exactly a fake, it is absolutely invalid. This "Coat of Arms" was designed by a family member or members and reportedly voted upon at a major Bouchard gathering that took place quite a few years ago. It has no real history and has never been registered. And even if it were to be registered, it could only be registered to one individual and not to the whole family anyway. That aside, it makes a nice conversation piece. I have a copy on my office wall. I welcome feedback regarding this or other genealogy issues.